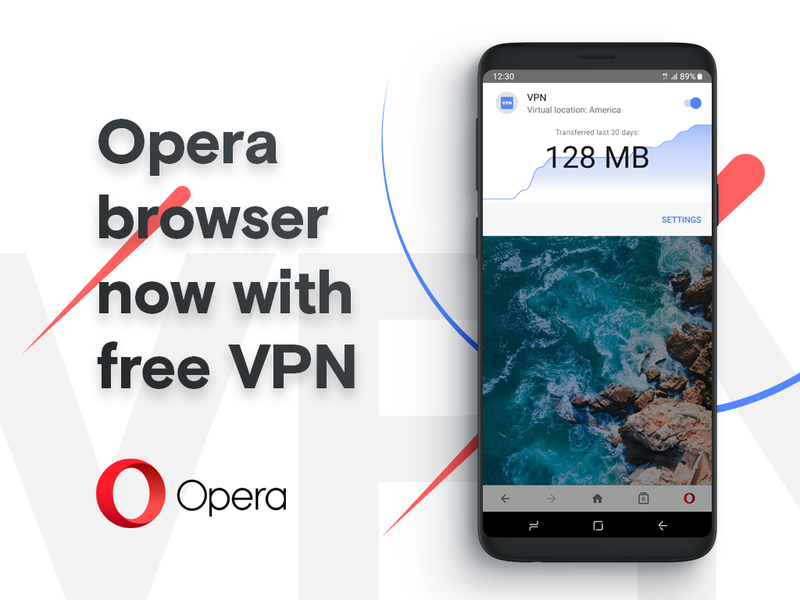 Today we are releasing version 51 of Opera for Android which now includes an easy-to-use, free and no-log VPN. With the addition of the built-in VPN to our mobile browser, we are giving you enhanced control of your online privacy and improved security when browsing the web. How does the built-in VPN work? Once the built-in VPN is enabled in the browser settings, the feature will create a private and encrypted connection between your mobile device and a remote VPN server. This gives you enhanced privacy as it will hide your physical location and make it harder for others to track your behavior on the Web. The VPN is a very useful feature for connecting to public Wi-Fi in coffee shops, airports and hotels. In these Wi-Fi spots, the Internet connection is not as secure as private Wi-Fi spots. Malicious third parties can collect sensitive information such as banking details or login and password details to social media accounts. With our built-in VPN you reduce this risk by sending content requests through a secure tunnel that encrypts Internet traffic going through your mobile device. Our built-in VPN does not log web traffic. This means that the VPN servers do not log and retain any activity data, all to protect your privacy. The VPN does not have any cost as it’s built into our browser. This makes it very convenient to start using VPN straightaway as you don’t need to pay any subscriptions for the service or download additional apps on your device. Enabling the built-in VPN takes only two simple steps. Tap on the settings of the browser and then enable VPN. 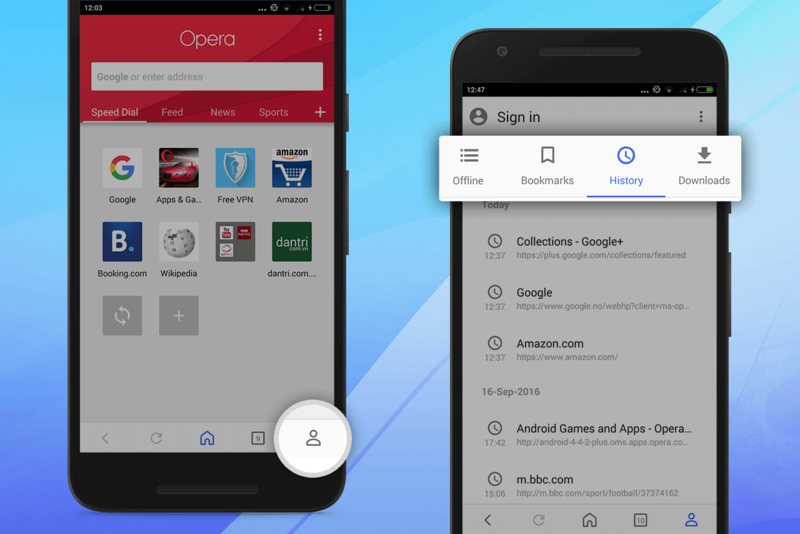 This new version of Opera for Android also contains support for crypto-pairing with the upcoming stable release of Opera for computers, providing you convenient and secure access to your mobile-based Crypto Wallet in Opera for Android on your computer. With the recent improvements to our Crypto Wallet, including our efforts to dramatically simplify the acquisition of funds, we are fulfilling our goal to make Opera for Android the natural choice for stepping into blockchain technology and Web 3.0 for the first time. As always, a multitude of smaller improvements have also gone into this version, including improved startup time and speech-to-text API support. We have also listened to user feedback and polished the new fast scroller feature into something we believe that you will truly appreciate! Finally, we’re deprecating support for Jelly Bean (Android 4.1 – 4.3), which was released in 2012. You can switch to Opera Mini or continue to use Opera for Android version 50, but we’re not planning any more updates as the Chromium browser engine no longer supports Jelly Bean.